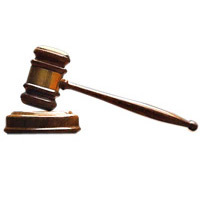 An individual accused of assaulting a 13-year-old servant girl with a cable wire, was sentenced to two years’ rigorous imprisonment (RI) and fined Rs.5,000 by Kurunegala High Court Judge Menaka Wijesundara, yesterday morning. In addition, the Judge ordered the accused to pay Rs.100,000 as compensation to the girl. He was also ordered to serve an additional six-month jail term in default of the fine. The accused, a 48-year-old resident of Gokarella, Polgolla, was indicted by the Attorney-General. The incident took place on June 1, 2015, at Polgolla. Before the sentence was passed, the defence counsel said that his client wished to settle the case. The judge refused the request. State Counsel Charaka Dharmasiri prosecuted.